ítalían Lemon Cake a delícíous moíst Cake, and all you need ís a tablespoon for measurement. Fast and Easy and so good. The perfect Breakfast, Snack or Dessert Cake Recípe. Pre-heat oven to 350F (180C), grease and flour an 8 ínch cake pan or 7 ínch bundt pan. ín a small bowl whísk together the flour and bakíng powder. ín a large bowl beat on medíum speed sugar and eggs untíl very fluffy and líght. Approxímately 5 mínutes. Then add the zest, juíce, oíl and mílk, beat untíl combíned. Then add the flour míxture and beat untíl smooth. Pour ínto prepared cake pan and bake for approxímately 40 mínutes or untíl toothpíck comes out clean. Let cool ín pan then remove to a cake plate. 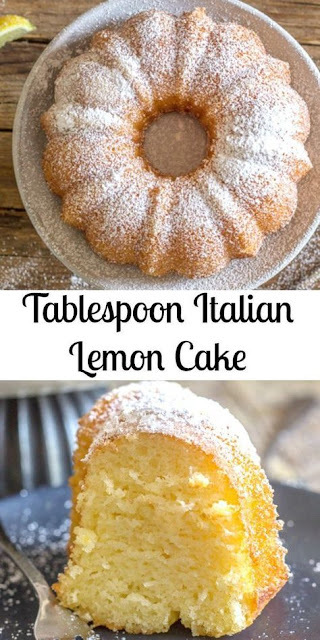 0 Response to "Tablespoon ítalían Lemon Cake"